This fall, members of the Academic Affairs Division are raising money for the SJSU Food for Students Fund. 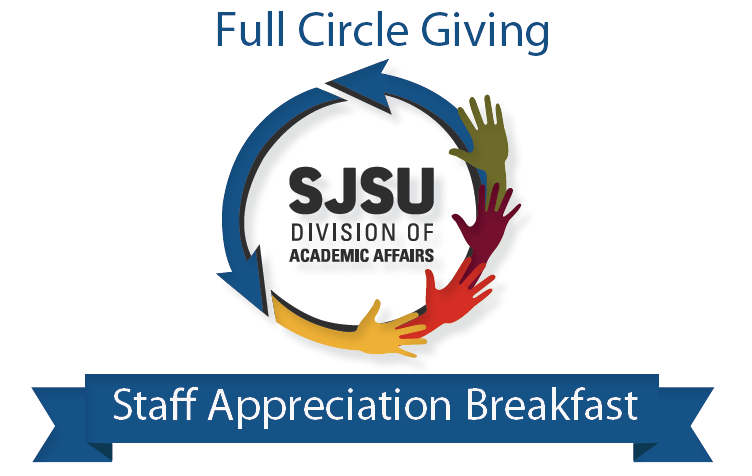 The theme for the breakfast is “Full Circle Giving.” Each year, the colleges and departments within the division compete to see which group can collect the most resources in support of a food drive leading up to the Academic Affairs Division Staff Appreciation Breakfast. 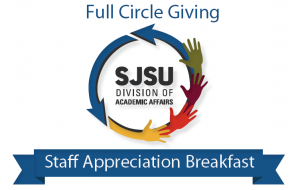 The winner of the competition will be announced at the Academic Affairs Staff Appreciation Breakfast on Oct. 23, to which all staff within the division are invited. Visit the events page to see weekly totals for each college or department. In a recent Student Affairs survey, nearly 12 percent of SJSU students reported they often had to skip a meal or cut the size of a meal because they did not have enough money. The SJSU Food for Students Fund supports a variety of resources for students including more than a dozen student food cupboards on campus where students can stop in to take items as needed. The fund also supports the Student Wellness Center in providing programs for students and connecting them with other resources off-campus that may help them.